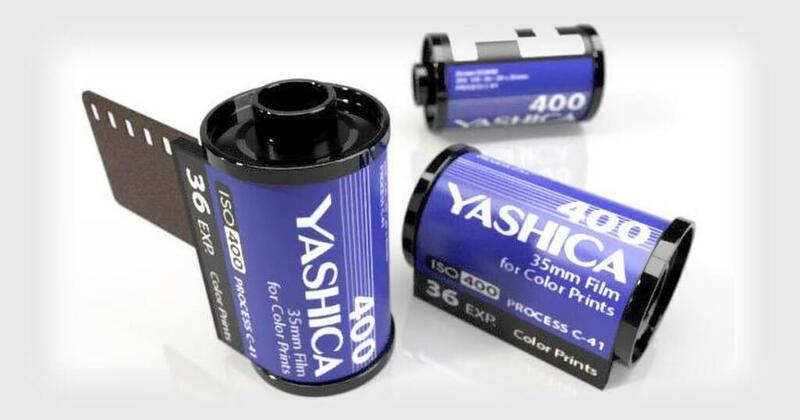 Yashica certainly rose more than a few eyebrows with the latest announcement about the launch of their 35mm film. It seems like the company is trying to rebuild itself in a competitive market in times when people prefer their smartphones over carrying a camera wherever they go. The company, which was founded in Nagano in 1949, operated actively until 2005 when production was ceased. Three years later, in 2008, Yashica appears on cameras produced by a Hong Kong-based company. Over the years, Yashica released multiple camera models but this time they decided to go one step further – they are about to launch their own 35mm film. The story began like they usually do nowadays – on social media. The famous brand began posting teasers associated with the product last month including three dark Instagram images that left their followers confused. With a goal to build anticipation and excitement that will make everyone wonder about their secret project, Yashica posted some pretty confusing photos that barely impressed anyone. In fact, some followers on their social media thought the brand was just pulling an April Fools prank on them. On April 5, the official Facebook page for Yashica shared a photo taken with new 400 negative film with hashtags #35mmfilm and #35mmnegativefilm. However, fans and photographers were left unimpressed, and the lack of interest in this new launch was evident. The absence of positive reactions has a lot to do with the brand’s Y35 camera fiasco. You see, in 2017 Yashica launched a Kickstarter campaign for a digital camera with pretend film rolls. The campaign was a major success, actually, and raised over $1.28 million on the popular crowdfunding platform. However, when the product was released on the market photographers were left disappointed. They criticized the brand for low-quality images and poorly built product. The unreliable operation was also a major flaw of Yashica Y35 camera. The launch date of C-41 35mm negative film remains unknown, but it’s easy to conclude the decision was made in order to control damage and recover after the Y35 camera flop. Many photographers on social media noticed the film announcements were deeply flawed. For example, on their Instagram post, the DX code on the canisters is for 200 ISO, not 400 ISO and the negative is visibly floating in addition to being poorly illustrated. Critics believe the company should have stopped with the camera instead of going one step further to launch their own film. Manufacturing film is not an easy endeavor as photographers want high-quality products that will enhance the quality of their images. Surely the idea of Yashica launching their film is not bad itself, but at this point photographers and fans are unimpressed due to poor execution and presentation of the product on social media. The Y35 camera fiasco also played a role in the negative perception of this product. However, when they launch the film, we’ll see how users will react.